It smells like summer, it smells like holiday, close your eyes and breathe deeply to be enliven by the scents of the Provence golden blue… Discover unique and unforgettable landscapes of graceful mountain lines waving as far as your eyes can see. Plunge into a soft bath of floral and fresh scents! Do you know the difference between lavander and Lavandin? Unlike Lavandin which grows at low altitude, fine or true lavender grows between 600 and 2000 meters above sea level. It flowers from June to August. Its flowers, mostly purple or violet, are arranged in spikes. Lavandin is actually a spontaneous hybrid of fine lavender and lavender aspic. It is grown in large quantities. 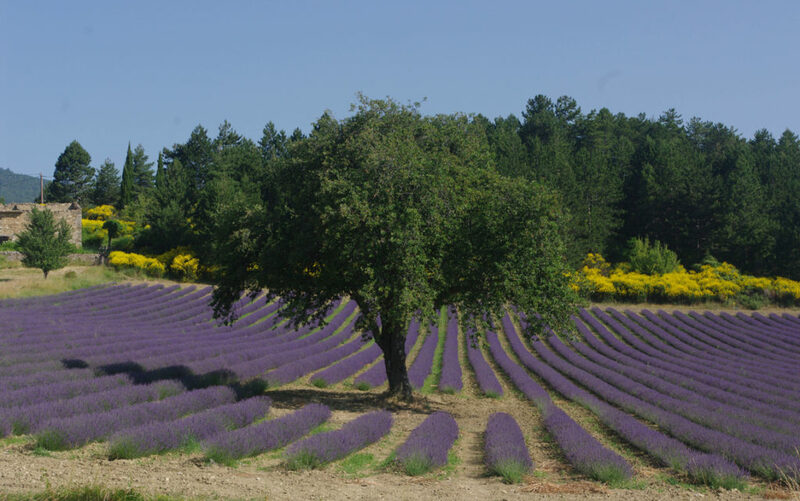 Lavender has been here forever, but has only been cultivated for a hundred years. Characteristic of Provence, it brings richness and beauty to a soil where the dry climate, the stony ground and the high heat do not allow other cultures. Once the harvest is over, everything must happen very quickly! Lavender fine, or true is distilled: its essential oil is more fragrant and used in perfumery and aromatherapy. Each variety of lavender is honey plant, very popular with bees … Discover the light color and the delicate taste of lavender honey on the markets or directly from the beekeeper! The lavender bloom varies each year depending on the weather conditions but also varies depending on the location of the fields. To see the fields in bloom, it will be necessary to come between mid-June (beginning of the flowering at low altitude, rather for the lavandin) and mid-August (last fields in bloom on the plateau of Sault).